The DiploMan emailed me the picture above a few days ago. 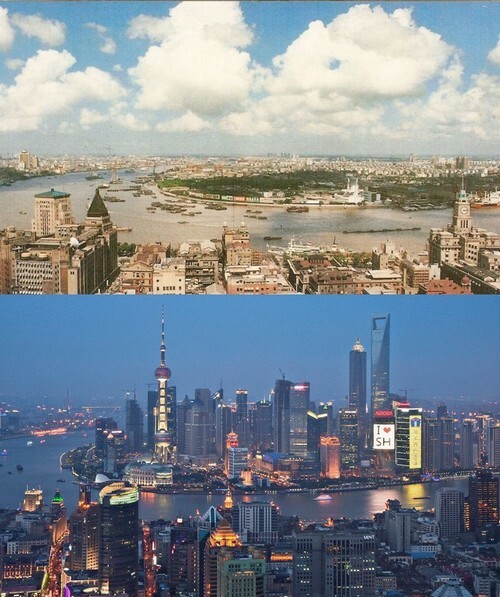 The photo was taken from roughly the same location in Shanghai, twenty years apart. Unreal. For more fascinating articles head on over to the ABC World News Tonight website this week. At the very least, you’ll know what to look for when the Chinese take over the world (lots of McDonalds’).